Where did our coyotes come from when they returned to this area shortly before 2003, and how did they get here? There was a long period of time before this time when they were not seen at all in the city. Apparently there is more to it than the very interesting story which we have all heard up until now. The story that we’ve heard states that our coyotes did not come up over the land from the south as might be expected. Rather, they came into San Francisco from north of the city, which means that their route involved crossing over the Golden Gate Bridge. This is a seemingly unlikely scenario, but there is information which supports it, if the information is correct. A coyote was apparently seen crossing the bridge — the under-part of the bridge — at night by a ranger. And, there is a video clip of a deer crossing the bridge, so why could not a coyote do so? In addition, there has been DNA testing by Dr. Ben Sacks of UC Davis, linking our San Francisco coyotes to the northern coyotes, the DNA is different from that of the southern coyotes. So this is the story which we are hearing: that our coyotes came from the north over Golden Gate Bridge. It really is a very exciting story. However, it appears that this is not the entire story. A totally trustworthy, older friend of mine revealed to me that he knows how the coyotes really got here. He told me that he knows the fellow, a ranger, who absolutely “swears” that he brought them in himself — at least some of them. My friend wanted me to know this because I told him how they might have crossed the bridge — he let me know this was not the whole truth. His revelation can never be reported fully because of its being an illegal activity. No one is going to say anything about it officially, and no names will ever be given — there is only a small, tight group that even knows about it. My friend only told me this much and would reveal no more. My own feeling is that if some of our coyotes were brought into the city in this manner, it should be known. Unless all possibilities are taken into account, you are “creating” a false history. I would rather consider all possibilities that might lead us to know how they really got here. 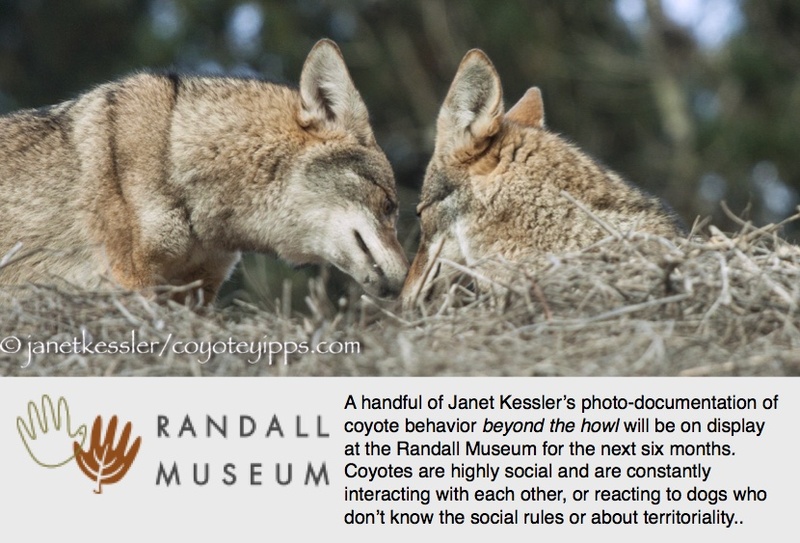 Although there seems to be little evidence to support it, several people have suggested to me that coyotes have always been here — that because their population was sparser, people just didn’t take note of them. I have noticed in the last few years that voles and gophers are rampant in the parks as never before – could this plentiful food supply be an incentive for the coyotes to reproduce? Should we keep this possibility in mind? “It does seem possible that coyotes have been traveling through San Francisco for a while,” Erin Boydston, USGS, said in a 2003 SF Chronicle interview. I too know how they got into the presidio, the older gentleman was part right, it was a usda trapper from northern Mendocino county once a resident of San Francisco, who transported and released them. I also witnessed one of several coyotes relesed. His purpose was to cause trouble for the liberal voters that voted against leghold traps.